To say that 10th Planet Jiu-Jitsu has started the year off with a bang would be an understatement. Only six weeks into the year and not only has Eddie Bravo’s network of schools competed and placed in several major tournaments, but they also saw the promotion of Bravo’s second black belt in the 10th Planet solar system – Sean Bollinger (Riverside). 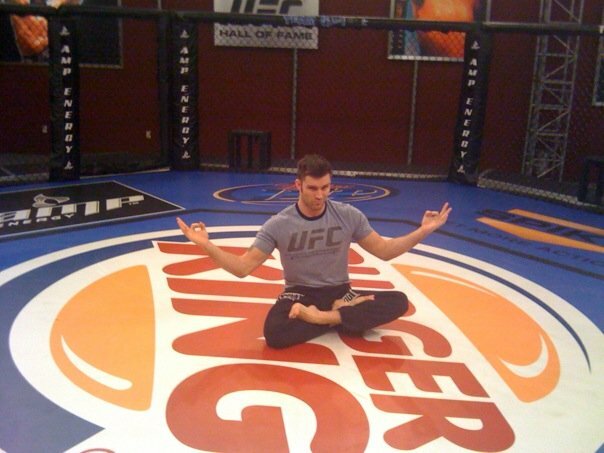 Denny Prokopos (San Francisco) became 10th Planet’s inaugural black belt in September last year. “We’ve got a lot of resistance going on from the traditional community, which is kinda crazy. I never meant it to start that way. I was trying to improve jiu jitsu for jiu jitsu. . . Having Denny represent, that’s where we need to be right now,” reflected Bravo in a video interview after the promotion. That 10th Planet degree was put to the test six weeks later, as Prokopos competed in the World Jiu-Jitsu No-Gi Championships in November, taking third place in his Black Belt Adult division against jiu jitsu masters such as Rodrigo Ranieri and Baret Yoshida. Both Prokopos and Bollinger face new responsibilities as the sole 10th Planet black belts, not just for that level of recognition, but also as they spearhead their own school branches. 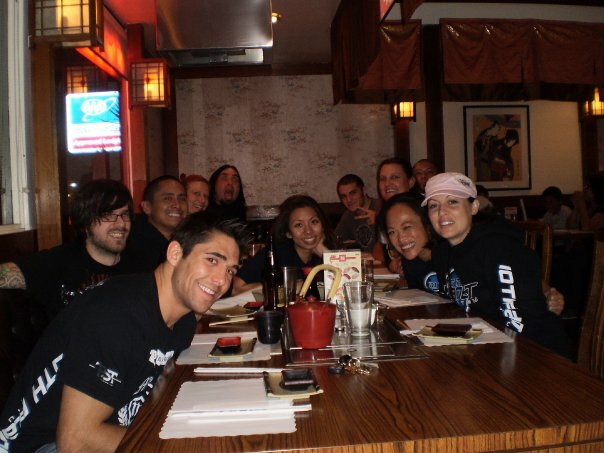 With Bollinger’s school taking the 10th Planet reach into the Southern California Inland Empire, Prokopos’ San Francisco dojo has stood for the past two years amidst other noted grappling schools like Cesar Gracie and Jake Shields’ respective Gracie Fighter academies, as well as MMA gyms such as Fairtex and American Kickboxing Academy (AKA). 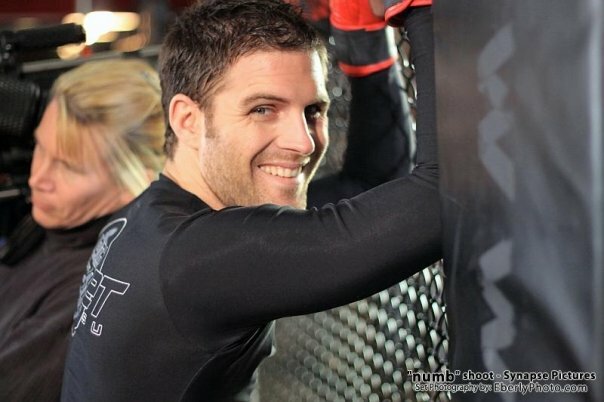 Additionally, Bollinger is training for an MMA fight against second-generation star Ryan Couture, scheduled for March 26th at Tuff-N-Uff Amateur Fighting Championships in Las Vegas. Bollinger is currently 2-0 in amateur MMA competition. Additionally, a group of students from Headquarters and Burbank were also recently promoted, including new blue belts Will Allen, Mel Blanco, Alex Branom, Steve Cox, Matt Dempsey, Scott Elkin, Karen Ferguson, Michel Francoeur, Juli Fung, Tommy Gavin, Carlos Hernandez, Matt Horwich, Alan Jouban, Howard Lee, Richard Mattke, Kyle McGough, Anthony Nealy, Rachel Tan, and Wade Thomas. 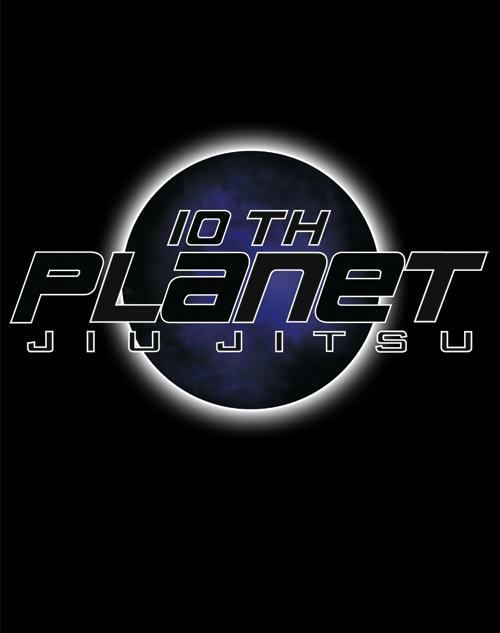 Congratulations to all the recent 10th Planet promotions for the deserved recognition of their hard work and spirit. One of the bigger annual jiu jitsu tournaments, the Gracie US Nationals, took place as part of the Los Angeles Fitness Expo in Los Angeles in January. Among the placers were silver medalists Juli Fung (Burbank / Headquarters; Female Beginners 135 lbs. ), Miguel Orozco (Burbank; Male Beginners 135 lbs. 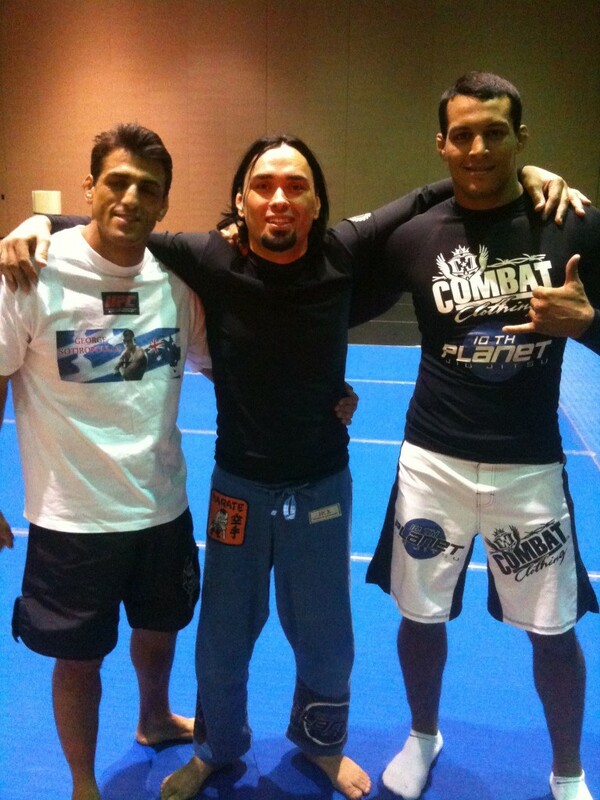 ), and John Bottello (10th Planet Arizona head instructor; Male Advanced 145 lbs.). “I feel fantastic. I learned so much, I can’t wait to do the next one,” said Fung after her win. Amir Allam (Burbank / Headquarters) had a particularly busy day, not only claiming gold status in the Men’s Advanced 206 lbs. 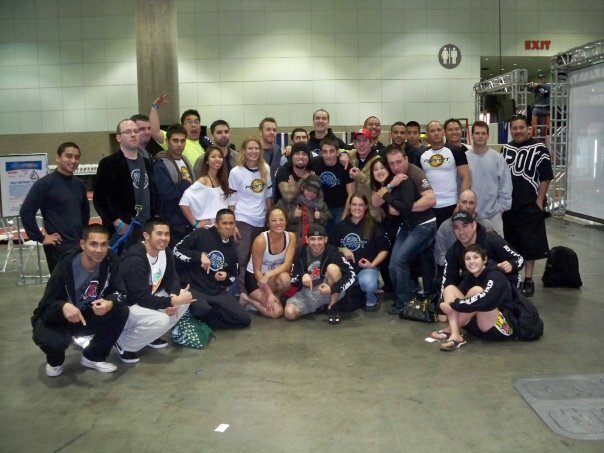 division, but also treating fans to an impromptu special exhibition match against MMA fighter Josh Barnett, who showed up only to discover that there were no other opponents in Barnett’s division. Faced with clocking out early for the day, Barnett asked Allam to roll in an exhibition match, to which the purple belt agreed. The scrap itself was competitive between opponents until Barnett caught Allam with a leglock. Especially worthy of note was the Davila family’s accomplishments, as young Victor Jr. and his uncle Jose (both Burbank) claimed gold in their respective divisions. Headquarters’ purple belts Ralf Warneking, Ian Quinto, and Dave Callaham also competed at this tournament, as did a large contingent from 10th Planet Phoenix, which included (beside Botello) Annie Jamarillo (Phoenix), Joe Montoya, and Ruben Garcia. “It was great competing alongside people from Headquarters and Burbank. After the tournament, we celebrated my birthday. Eddie’s show the night before was great too. Just a fun time all around,” said Botello. “I thought it was great that Arizona came all the way out to compete and trained with us all the week before,” noted Fung in the days after the event. As reported previously on the Legends MMA blog, brown belt Scottie “Einstein” Epstein (Headquarters) will be featured as Chuck Liddell’s jiu jitsu coach for the 11th season of “The Ultimate Fighter,” which is anticipated to debut on Spike TV in April. Filming is scheduled to end in early March, at which point Epstein and Liddell will focus on preparing for a second rematch against Tito Ortiz, scheduled for UFC 115 in June. Finally, you could say that this year, February 14th was for lovers and fighters, as the Grappling X No-Gi tournament took place that day in Long Beach, CA. Of the several different 10th Planet schools representing at the tournament, Burbank in particular shined brightly, with gold medals for Kim Ferguson (Women’s Advanced 130 lbs.) and Richard Mattke (Men’s Beginner 180 lbs. ), silver for Ronnie Castro (Men’s Novice Absolute Division) and Aren Asefi (Men’s Novice 145 lbs), and bronze for Miguel Orozco (Men’s Novice 135 lbs. ), Rachel Tan (Women’s Beginner 115 lbs. ), and Michael Pack. Not to be overlooked, Burbank’s Michael Fausto battled through five bouts in a stacked division to a laud-worthy fourth place finish, finishing most of his opponents with triangle chokes. Headquarters earned their fair share of battle bling as well, as Steve Cox (Intermediate 145 lbs) and Drew Springer took gold. Dawna Gonzales (Women’s Beginner 130 lbs.) and Conor “The Hurricane” Heun (Men’s Advanced 175 lbs.) placed silver in their respective divisions. Dustin Shaw claimed bronze in his Advanced Men’s 145 lbs. division. Also competing were Headquarters members Scott Palmer, Sanni Wehbe, Jr., and Jason Eisner. “I think everybody did really well. It was amazing to watch Conor roll his first competition back after knee surgery. . . Compella put on a rubber guard clinic. . . Loved watching the other advanced guys – Justin, and Jason Eisner. . . It was beautiful to watch, and it was exciting to watch all the beginner people just go for it. There was not one person on a 10th Planet team that I watched that I was not just absolutely thrilled and proud of, because everybody pulled off something that we worked on every day. And you can’t ask for more than that, and us being an incredibly supportive team, cheering each other on,” said Gonzales. “There was a time I can remember where 10th Planet would have four or five people in a tournament, and that was a pretty good turnout. . . and [people were] constantly saying that we never competed, and all this stuff that we did never really works and whatever. Now we’ve got all these up and coming people coming in there and winning their divisions. First and second place all over the place,” reflected Shaw. Congratulations to traditional black belt / 10th Planet member George Sotiropolous for his dominant victory over Joe “Daddy” Stevenson in his homeland of Australia at UFC 110. Sotiropolous employed every bit of his 10th Planet repertoire, on top and from bottom, to threaten and thwart Stevenson, himself a black belt under Robert Drysdale. The native Aussie walked away with a 30-27 unanimous decision. 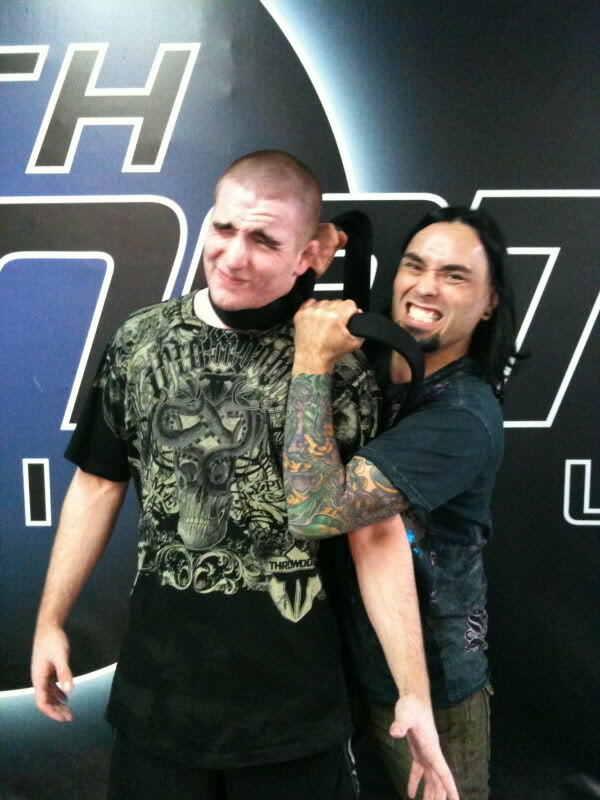 And speaking of 10th Planet students in the UFC, kudos, props, and best wishes go out to Burbank’s Alder Hampel and Dan Hardy (Headquarters), as they prepare for Hardy’s March 27th challenge for George St-Pierre’s UFC welterweight title. Check back here for more 10th Planet news. 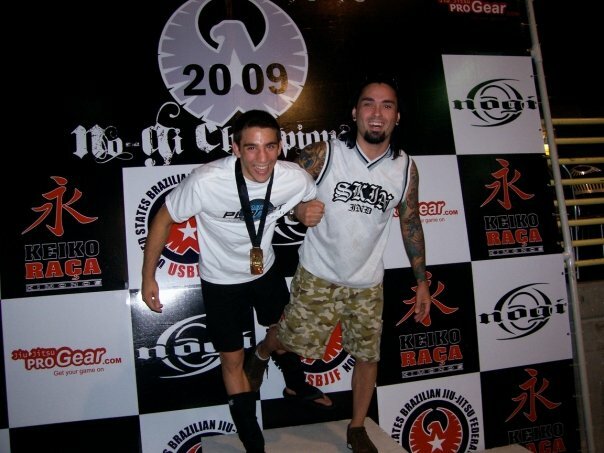 Eddie Bravo’s 10th Planet Jiu-Jitsu ended 2009 on a high note, with both the Hollywood and Burbank dojos representing with multiple winners and runner-ups at the final Grappler’s Quest tournament of 2009, which was held on December 12th in Las Vegas. Hollywood (aka “Headquarters”) had four out of six competitors place, including purple belt Ralf Warneking and blue belt Steve Cox, who both won gold in their respective divisions. Burbank sent five competitors, four of them placing. Warneking scored two submission wins on his way to the top of the Masters (40+) No-Gi Advanced cruiserweight division (180-199 lbs), while Cox remained undefeated in the Men’s No-Gi Beginner bantamweight division (below 129.9 lbs). Warneking also won the absolute (no weight class) division, earning him over $1,000, a championship belt, and Grapplers Quest sponsorship for 2010. “This was a smaller showing for 10th Planet due to it being right around the holidays, having to drive in to Vegas, and people being sick. I know of at least 3-5 people who were out due to illness,” said Juli Fung, who took silver in the Women’s Beginner No-Gi Class B (120-139.9 lbs). Rounding out those who placed on behalf of 10th Planet Hollywood is Aidan Gonzales, who took bronze in the Men’s Beginner Absolute division. Of the Burbank dojo, Miguel Hernandez show-and-proved with his gold medal win in the Men’s No-Gi Novice Bantam (Below 129.9 lbs), while Jenna Shih claimed silver in the Women’s Intermediate No-Gi Class B (120-139.9 lbs). Rachel Tan placed bronze in the Women’s Beginner No-Gi Class A (120 lbs. & below). Legends MMA’s Ryan Lupkes made his tournament debut for 10th Planet, and although having a strong showing, was ultimately outpointed. Likewise, brown belt Scottie “Einstein” Epstein, despite coming up on the short end, represented in the most competitive bracket , the invitation-only professional division, against black belt Rodrigo Ranieri. Unfortunately, a knee injury hampered Epstein going in, and when the seasoned leglock specialist zeroed in on the leg, “Einstein” found himself fighting from a disadvantage. Eddie Bravo’s 10th Planet Jiu-Jitsu expects to have another strong showing next at the Gracie US Nationals, on Sunday, January 24th, at the Fitness Expo in Los Angeles.